Winter seems like it has finally arrived here in Australia and as a result I’ve been looking to bulk up my wardrobe with more knitwear. While perusing various sites, I’ve noticed a trend towards tied knitwear. Now, I’m not sure of the practicality of such matters (surely the ties would stretch or cause the body of the sweater to lose shape?) but when done right it can add some much needed detail to an otherwise basic wardrobe staple. 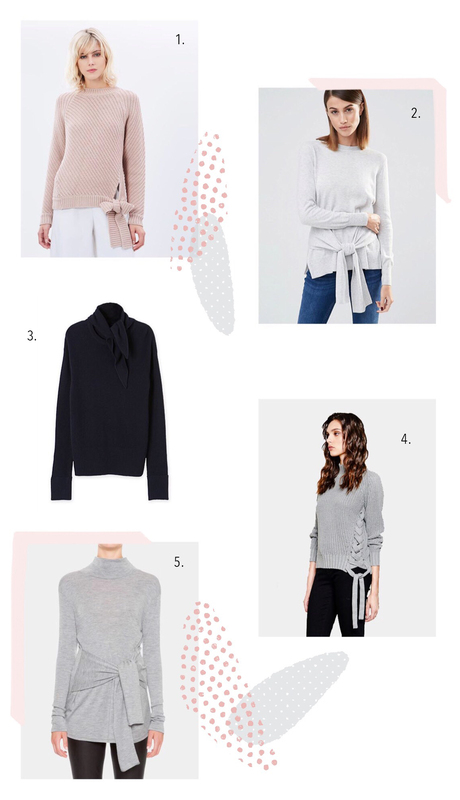 From figure accentuating waist ties to dainty built-in neck scarves, these are some tied knits I’ve come across lately. 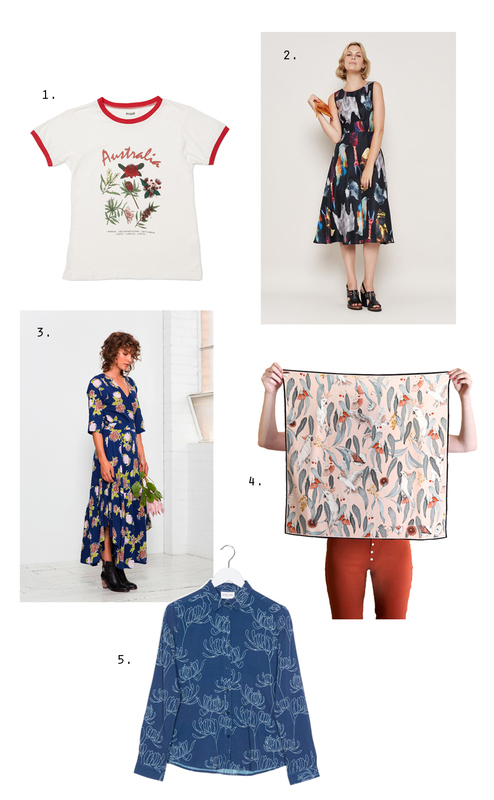 Ever since I mentioned my love for native Australian flowers a few posts down I’ve noticed that native flora and fauna prints are having a bit of a moment among local labels. Designers taking inspiration from the Australian landscape is nothing new but the current trend is definitely something to take notice of. Romance Was Born’s 2015 collections Bush Magic, Cooee, and Opal Romance all drew on an Australian narrative. The Autumn 2016 collection from RYDER sees Australian botanical prints emblazoned on t-shirts, dresses, and leggings. The Fred Fowler x Gorman collection draws on the artist’s paintings that look at Australian native and introduced species in an abstract, layered style. A distinct protea print takes centre stage in Leonard Street’s Autumn/Winter 2016 collection. Edith Rewa’s illustrations all feature beautifully drawn native Australian flora and fauna. Vanishing Elephant’s upcoming High Winter 2016 collection takes a more minimalist approach with line drawn waratah prints. And I’m sure this is just the tip of the iceberg. These are a few of my favourite takes on Australiana right now.